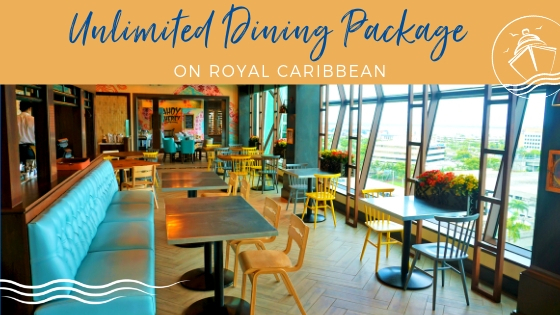 There is plenty to do in Bermuda that is near the cruise ships, including exploring the Royal Naval Dockyard, enjoying the beaches and water activities, shopping, and more. 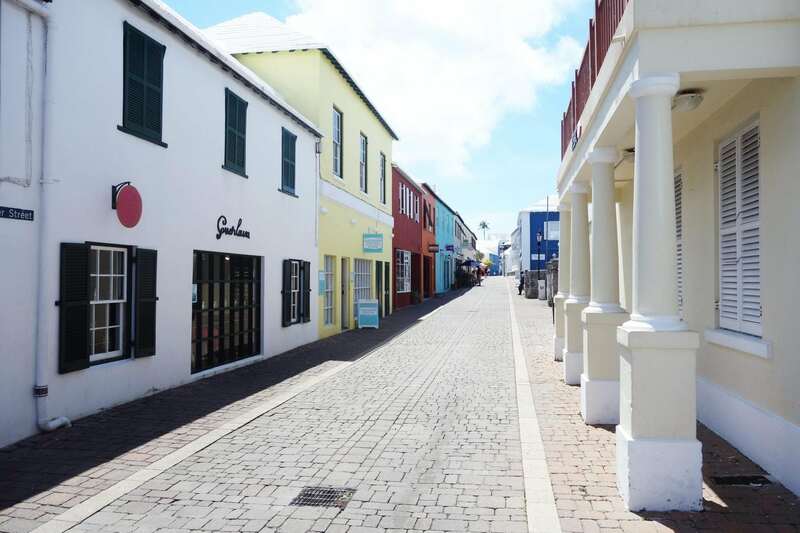 But, if you like history, we suggest venturing a bit further to explore the historic town of St. George. 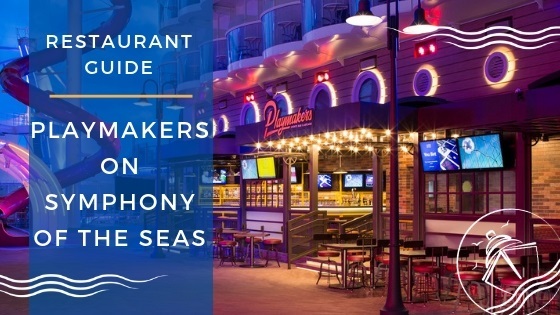 On our 5 night Anthem of the Seas Bermuda cruise in 2016, we decided to spend a full day in the city. 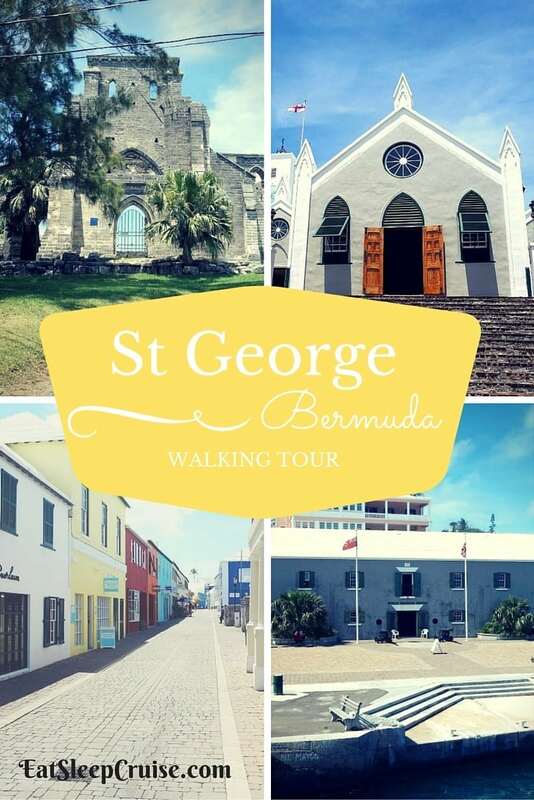 While we normally book guided tours, this time around we put together our own St George’s Bermuda Walking Tour. Want to do the same? 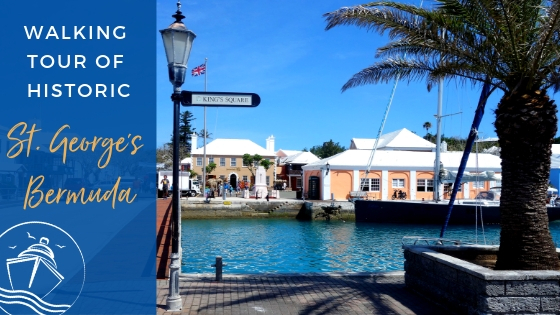 Take a look at our complete itinerary for a St George’s Bermuda Walking Tour. 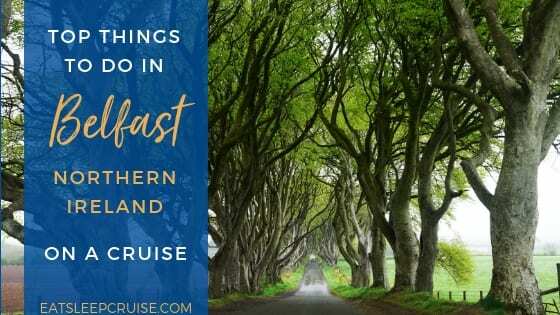 It is easy and fun, with plenty of sightseeing at your own pace! The easiest way to get to St. George is by the ferry. 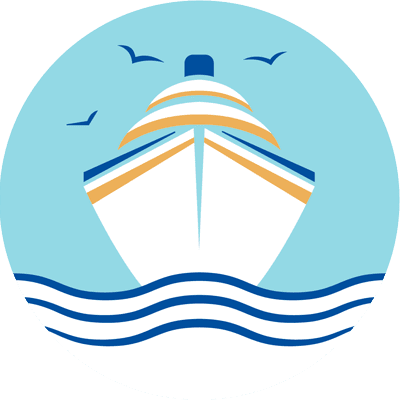 The current fare is $5 each way as of this posting (correct change is necessary if you are paying via cash), or you can purchase tokens for $4.50 from the Visitor’s Center. 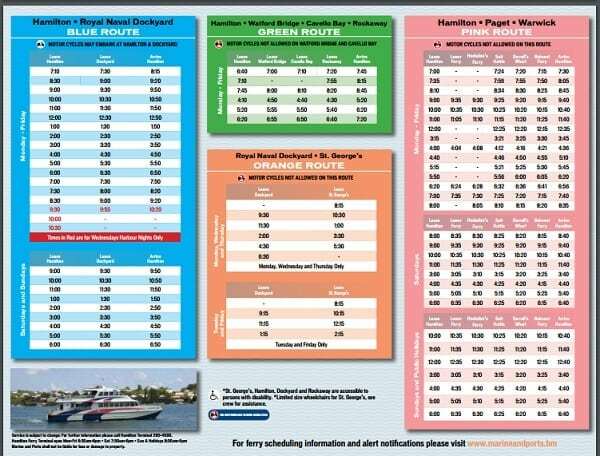 If you plan on using both the ferries and public buses (different from the mini-buses), you can get a one day pass for $19 or a two day pass for $31.50. 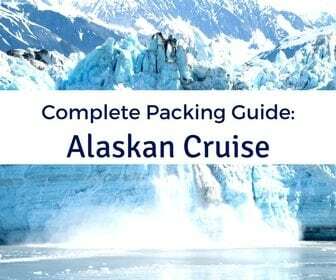 This pass entitles you to use of all ferry routes and all public bus transportation for the number of days you purchase. 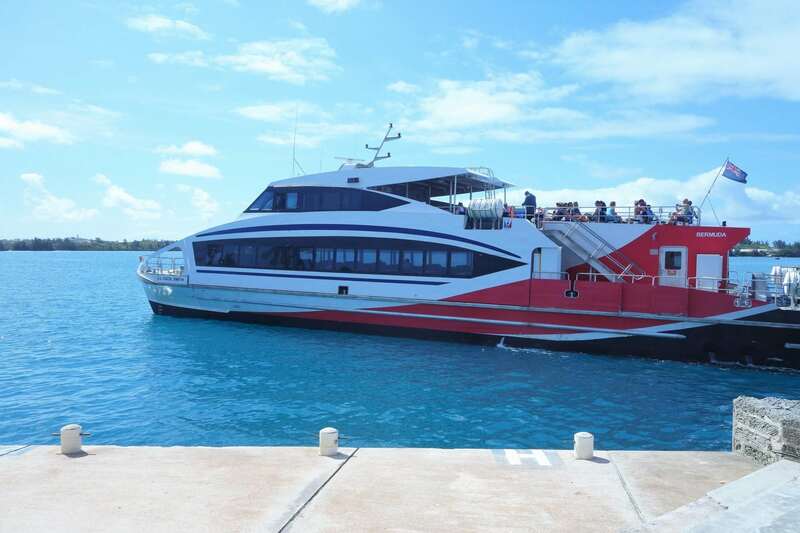 To make the most of your St. George’s Bermuda Walking Tour, you should catch the first ferry out. 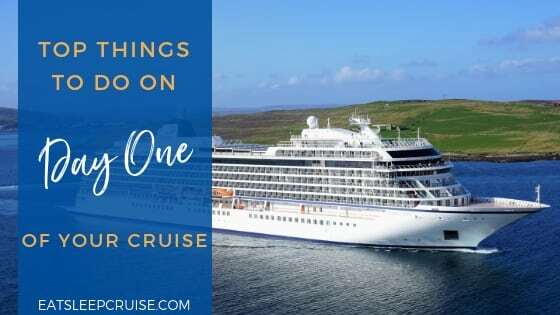 For the two days we were in Bermuda, the first ferry left at 9:30am, and the last ferry back to the Royal Naval Dockyard was 5:30pm. 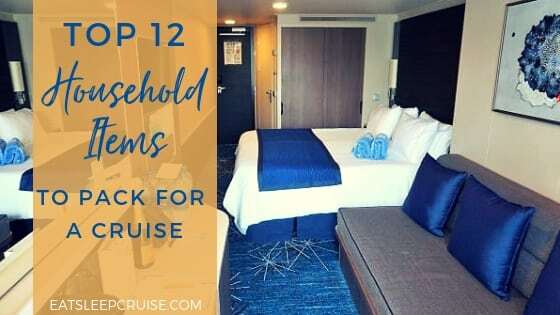 You do not want to miss the boat, as you will have to pay a hefty taxi fee, or spend close to two hours on public transportation to get back to your ship. 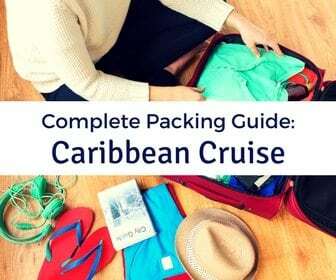 The ferry ride is only about 45 minutes from the Royal Naval Dockyard to St. George’s. 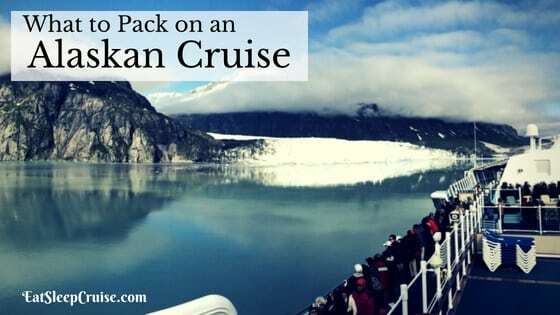 The ferry ride is the perfect opportunity to get pictures of your ship and the coastline. 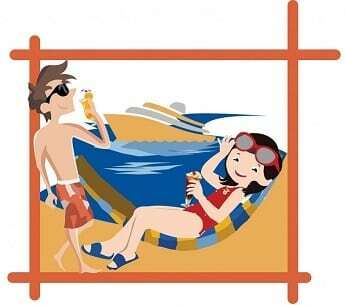 We suggest getting seats on the starboard side of the ferry (right side facing forward) to get the best photos. Arriving early will ensure you are able to get good seats on the top deck, as the line for the first ferry of the day can get quite long. 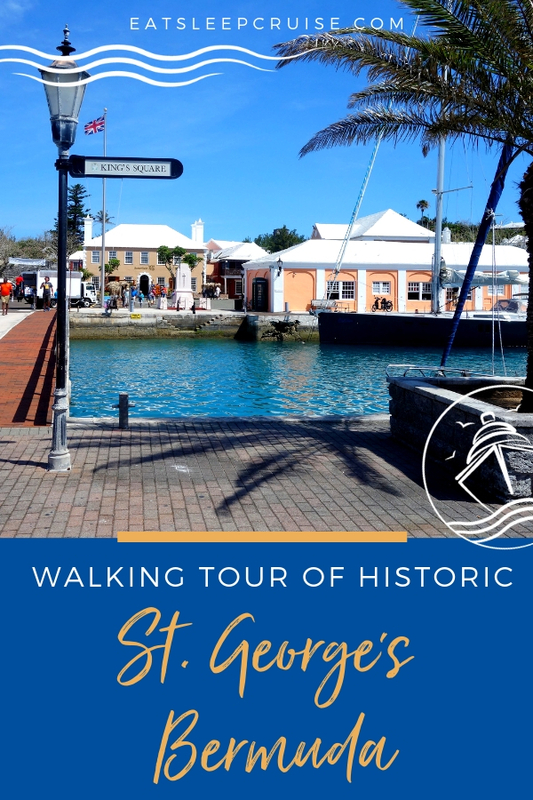 Once you arrive at the St. George’s Ferry Terminal, your walking tour will begin. 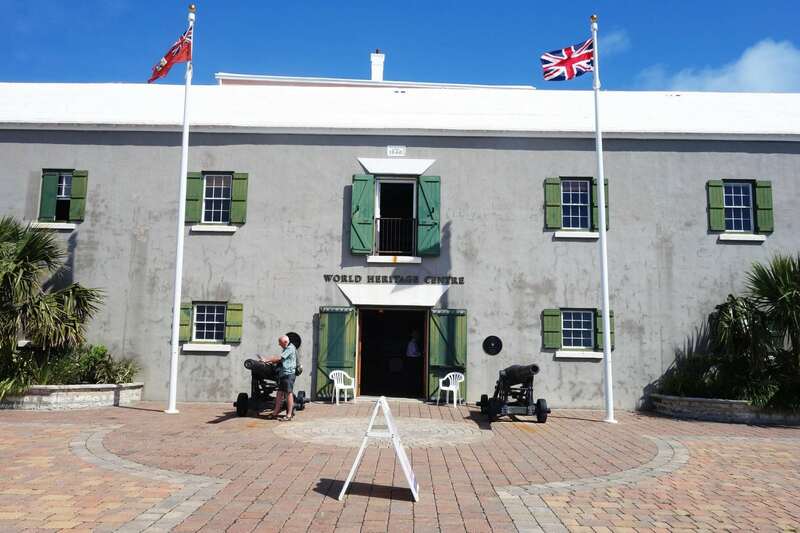 If you have time, you could stop in at the Bermuda World Heritage Center. 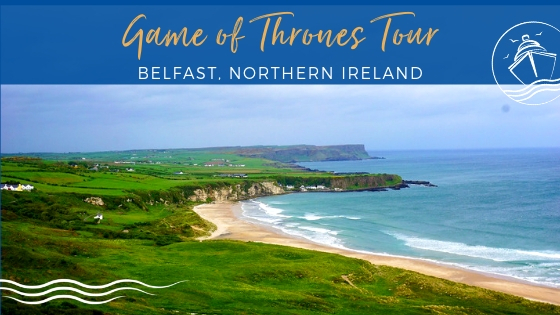 They offer free tours of the building, and the museum houses some interactive exhibits and displays giving you a comprehensive introduction to the area. 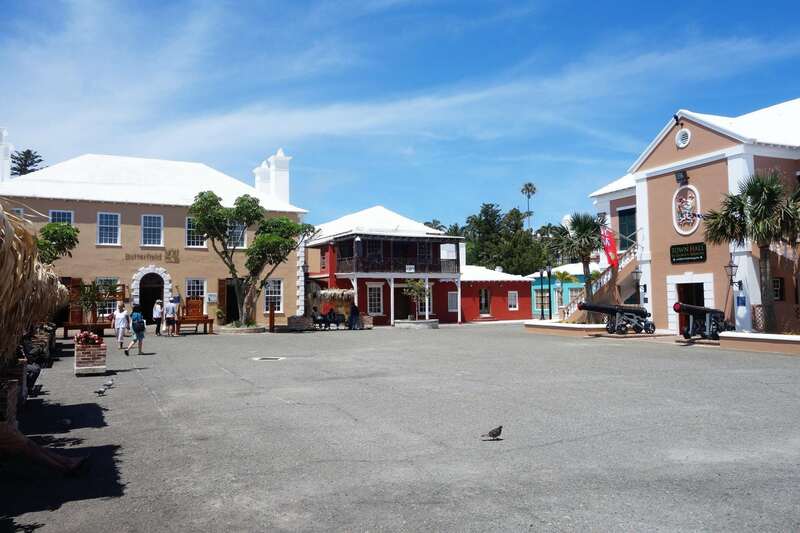 For us, a few minutes inside the museum was plenty, and we were off to exploring the historic buildings and shops of Mullet Bay Road. 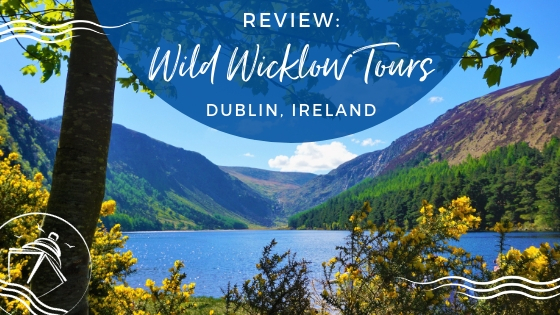 While it takes only ten minutes to walk from the terminal to the town square, you may want to reserve some additional time for sightseeing and photo ops along the way as the shops, restaurants, and colorful buildings of this street should not be missed. 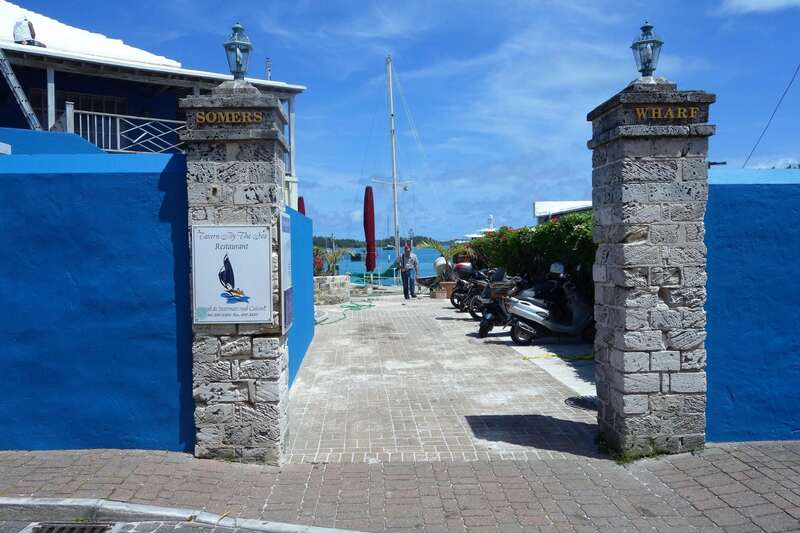 Somers Wharf, an up and coming area located right on the water, is a great place to do a little shopping or perhaps grab a bite to eat. Nestled on the left side of this cobblestone street (if you are heading into town) is the Tucker House. 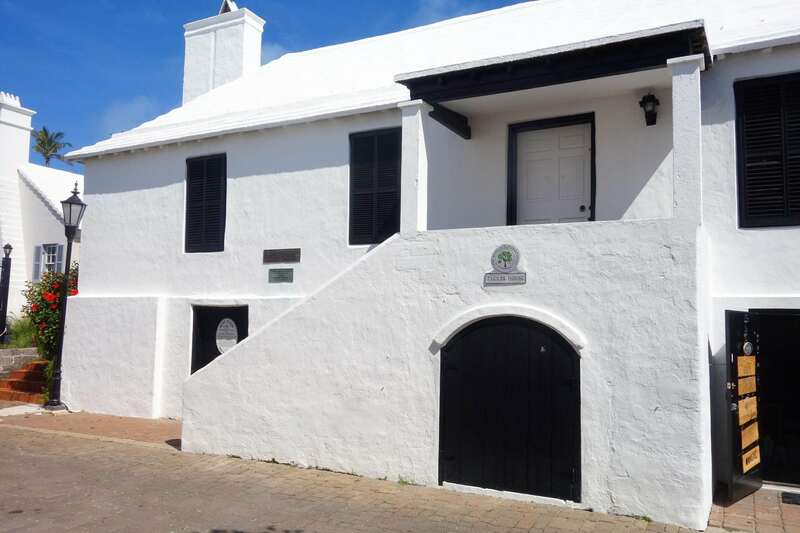 This 250+ year old home is now a museum that showcases how a wealthy Bermudian family would have lived in the 18th century. 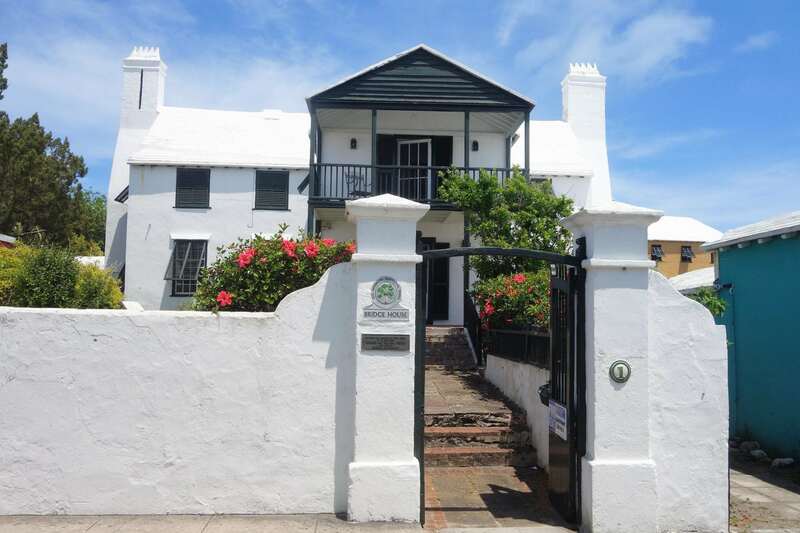 Admission is $5 for the Tucker House or you can buy a $10 ticket that covers the three museums in the Bermuda National Trust collection. 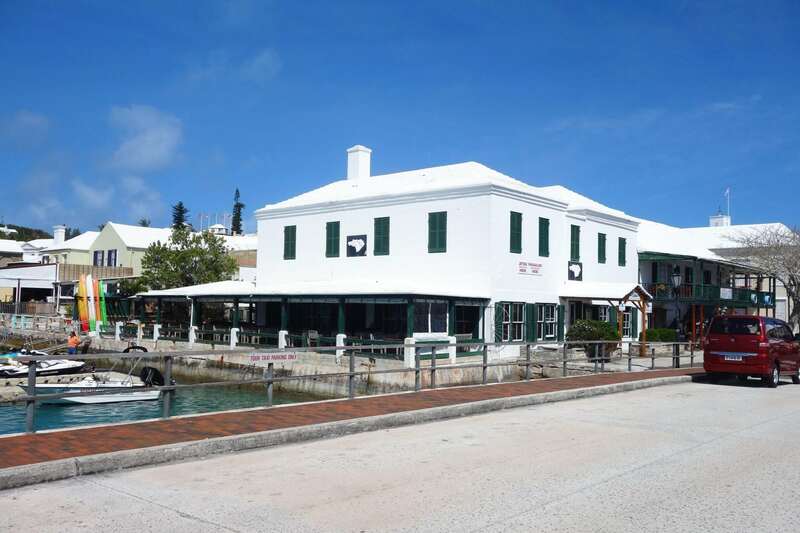 Located a few blocks east and one block up on York street is the Globe Hotel, another museum that is part of the Bermuda National Trust. 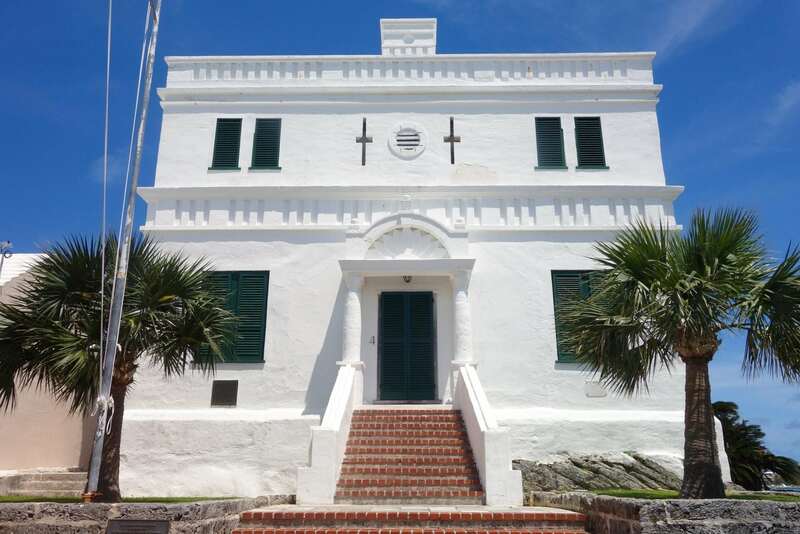 Built by the Governor of Bermuda at the end of the 17th century, the building originally served as a Government house. Changing hands and functions, the building became a hotel after the American Civil War. It now stands as a museum examining Bermuda’s role in the American Confederacy. The third museum in the collection is the Verdmont Museum which is located in the center of the island in Hinson Hall. Arriving in the Town Square (or Kings Square), you are surrounded by several historic buildings, the Visitor’s Center, and even some “characters” from days past. If you time things right, at around 12:30pm, there is a re-enactment of the Ducking Stool, which was a colonial form of punishment for particularly gossipy women. This is free to the public. Unfortunately, we were not around to see that day’s performance. The main attraction in Kings Square is the Town Hall. Built in 1782, the building is still used today for town matters. You can walk inside and see some of the original architecture and artwork of former town officials. You can also catch a glimpse of the town crier, who will oversee the Ducking Stool session. 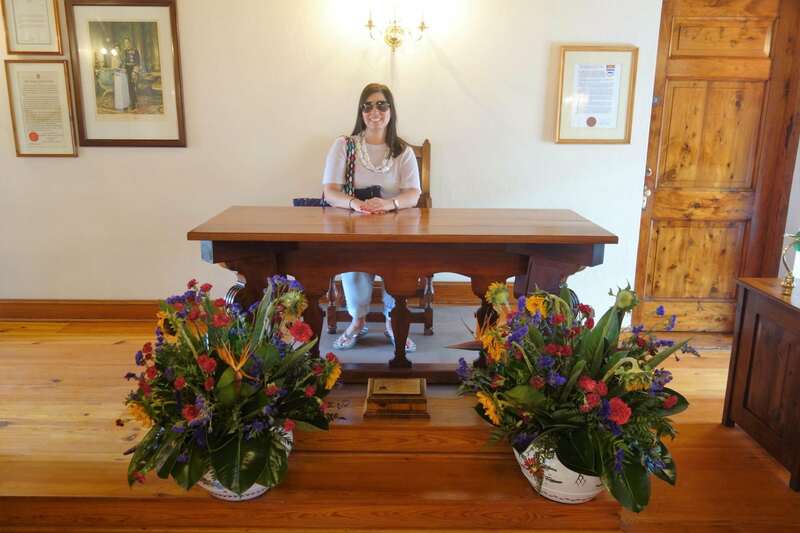 There is no admission to tour the Town Hall, and it is open until 4pm. A picture of you holding court is mandatory if you visit the Town Hall. At the Visitor’s Center, you can ask questions, get maps, or purchase tickets to some of the attractions. We ended up getting a combo ticket that included round-trip transportation and admission to St. Catherine’s Fort for $10 a person. The mini-bus that takes you up to the fort is $7, and admission to the fort is also $7 if purchased separately. However, saving your quads from the uphill hike to the fort is priceless! Before leaving downtown, there is plenty more to explore. Just south of Kings Square is a small island known as Ordnance Island. There you will see the replica of the Deliverance. 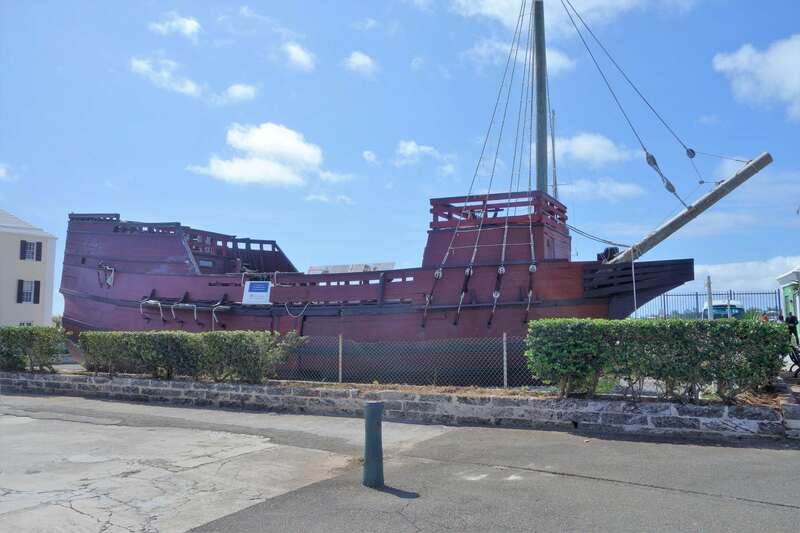 The original Deliverance was a rescue ship that settlers from the Jamestown colony in the United States constructed in the 17th century after being ship wrecked on Bermuda following a hurricane. This full scale replica is open to the public with no admission fee. 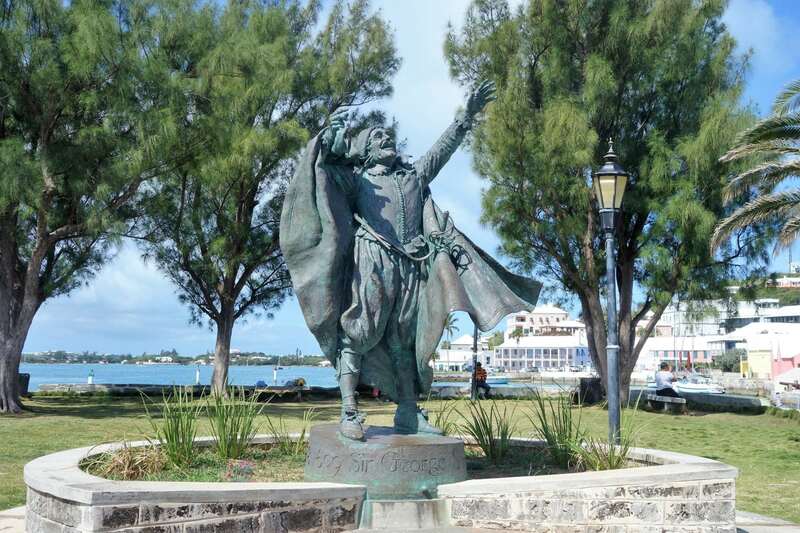 Right next door to the ship is a small park with a statue of Sir George Somers, who built the original Deliverance and is considered one of the island’s “founding fathers”. 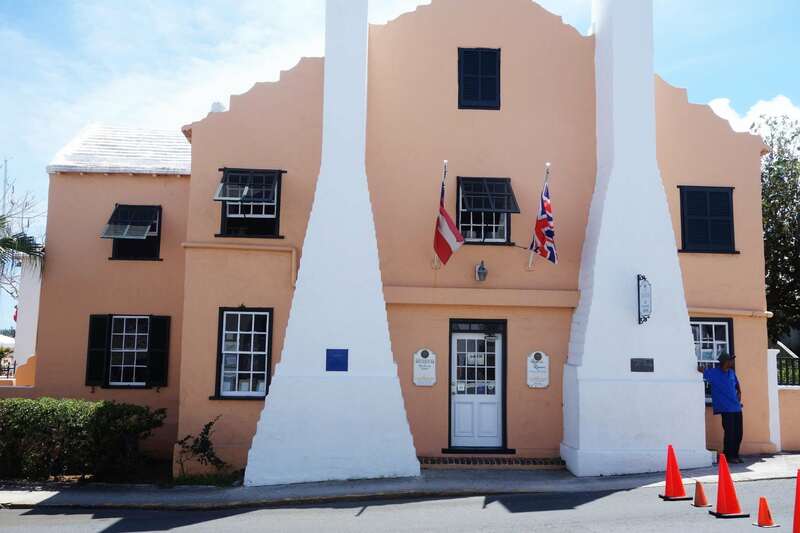 Returning to the main island, you can take a stroll behind the Town Hall on King Street to find the oldest building in Bermuda, aptly named the Old State House. 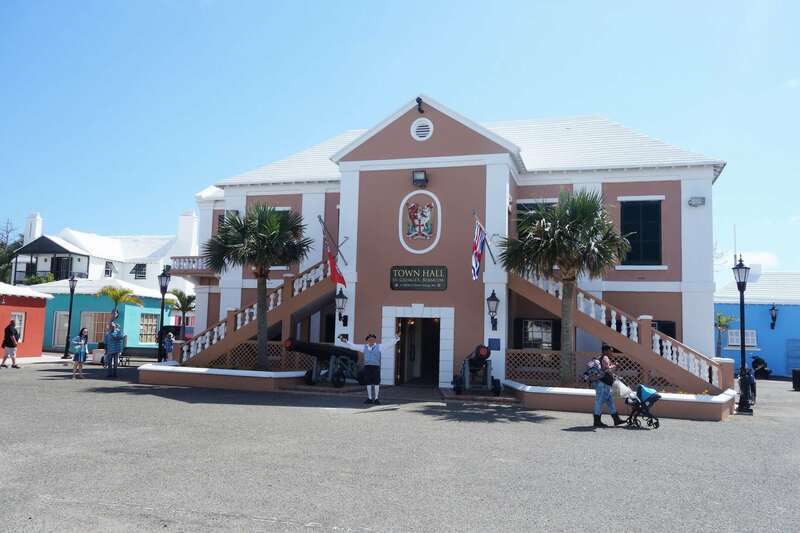 Built in 1620, this building held Parliament sessions until the capital of Bermuda was moved to Hamilton in the 19th century. To see the inside, you will have to time your visit appropriately as the Old State House is only open on Wednesdays. There is no cost to enter. Nearby is the over 300 year old Bridge House, located on Bridge Street, a block south of the Old State House. Built in 1707 and once housing the Governor of the island, it now contains an art gallery featuring works from local artisans. The second floor contains a two-bedroom apartment that you can actually rent if you plan to be in St. George for a while. Returning to York Street, if you head one block north, you will come across Somers Garden. 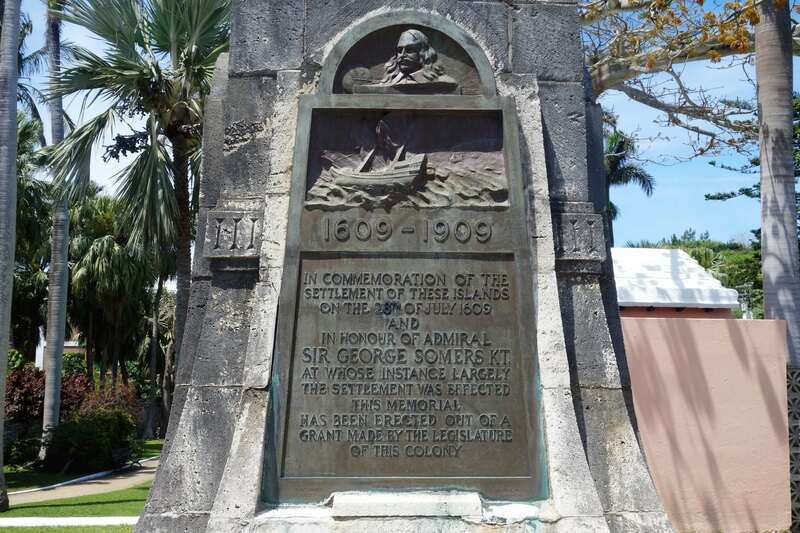 Named in honor of Sir George Somers, this park was officially dedicated in 1920. Some of Somers’ remains are buried underneath the park as he requested the island be his final resting place. Today, you can enjoy the small but well manicured park for a break from all of the sightseeing. 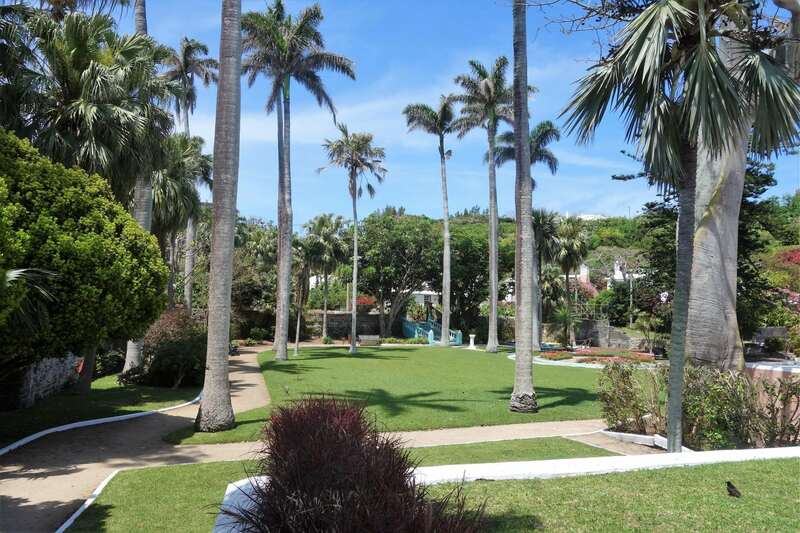 This serene park is certainly a nice addition to the St. George’s Bermuda Walking Tour. Heading back towards town on York Street, you can not miss St. Peter’s Church (directly across from the Globe Hotel). 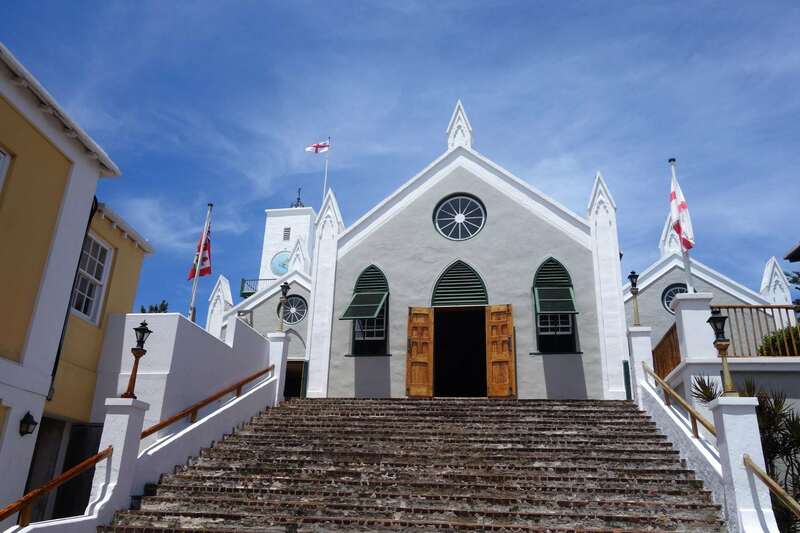 This church is the oldest Anglican church outside of Great Britain and the oldest Protestant church continuously used in the New World. While not the first building on this site, the altar from the original structure built in 1615 can still be found inside, along with other artifacts from the 18th and 19th centuries. Mass is still held Sunday mornings for those who wish to worship at St. Peter’s Church. Behind St. Peter’s is the Whitehall Mansion. 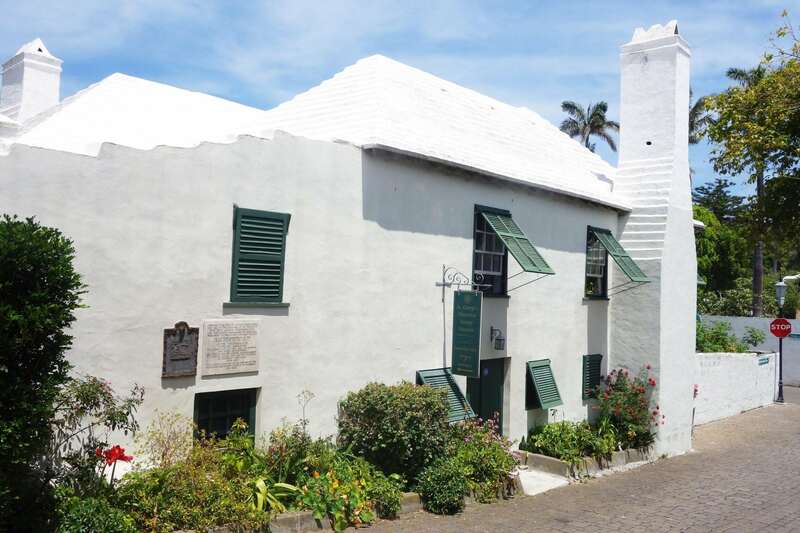 Built by the architect and then Mayor of St. George, John Van Norden, this two story house was the center of social life on the island and was home to several other mayors of the town. 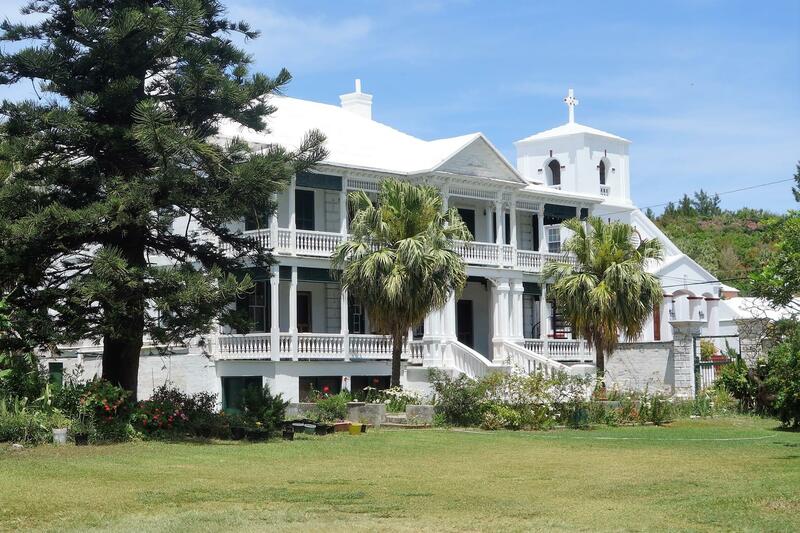 It is a grand example of the 19th century Victorian architecture and style of the island; however, it is a private residence so no tours or trespassing allowed! But, you can always sneak a photo. Just down the road from St. Peter’s Church and Whitehall Mansion is Mitchell House, a museum of the St. George’s Historical Society. Built in the 1730’s, the museum focuses on the life and times of those living during this period. Admission is $5, and the museum is open 10am to 4pm. The last stop on our tour is The Unfinished Church. As the name suggests, this church, which started construction in 1874 after severe damage was done to St. Peter’s Church, was never completed. It stands as an amazing example of Gothic architecture with its imposing front entrance. However, due to structural issues, the church is closed to visitors at this time. While it is a bit of an uphill hike on Govt. Hill Road, we think it is certainly worth the trip. 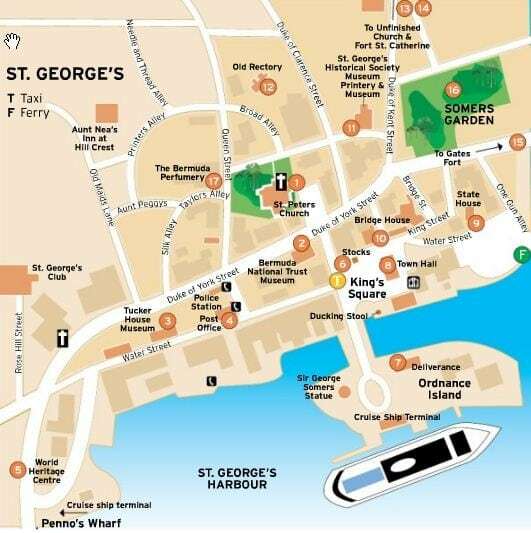 While you could certainly spend all day walking the streets of historic St. George, you might also want to grab a bite to eat or drink at one of the local establishments, including the White Horse Pub in Kings Square or the Tavern by the Sea located a bit closer to the Ferry Terminal. Shopping is also plentiful, including a stop at The English Sports Shop. 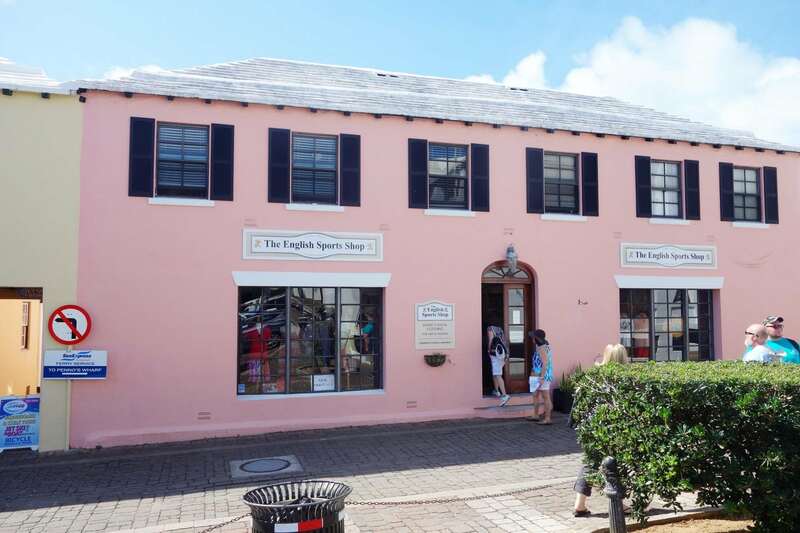 Known for being the unofficial home of the Bermuda shorts and a well regarded fashion hub on the island, a stop at this shop should definitely be included on your St George’s Bermuda Walking Tour. If you care to take a 15 minute walk up Govt. Hill Road (or a mini-bus), you can visit Tobacco Bay Beach. 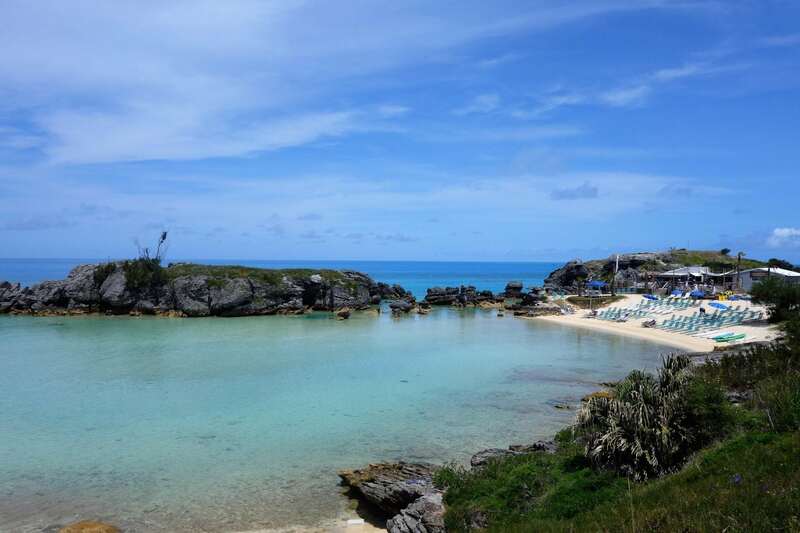 This inlet beach offers lounge chairs, food and drinks, and cozy accommodations to enjoy a dip in the crystal clear waters surrounding the island. 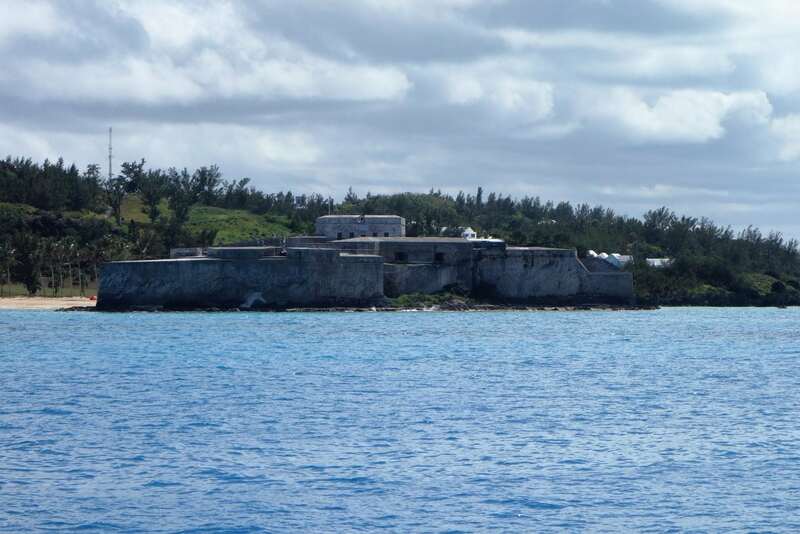 Not far away from Tobacco Bay Beach is St. Catherine’s Fort, one of the most impressive historical structures on the island. 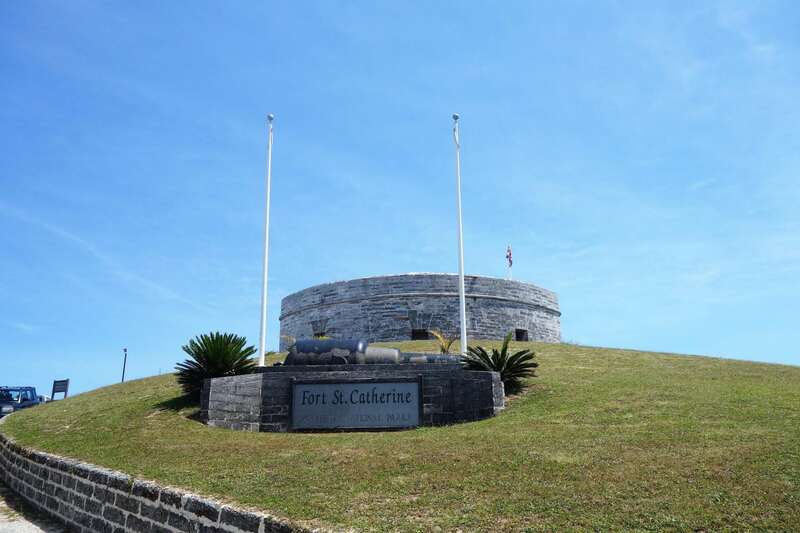 You can tour this historic fort or just grab a few photos of the exterior while in the area. Whatever you decide to do while in St. George, it is sure to be a memorable day. Just make sure to keep an eye on the time as you do not want to miss the ferry back to your ship! 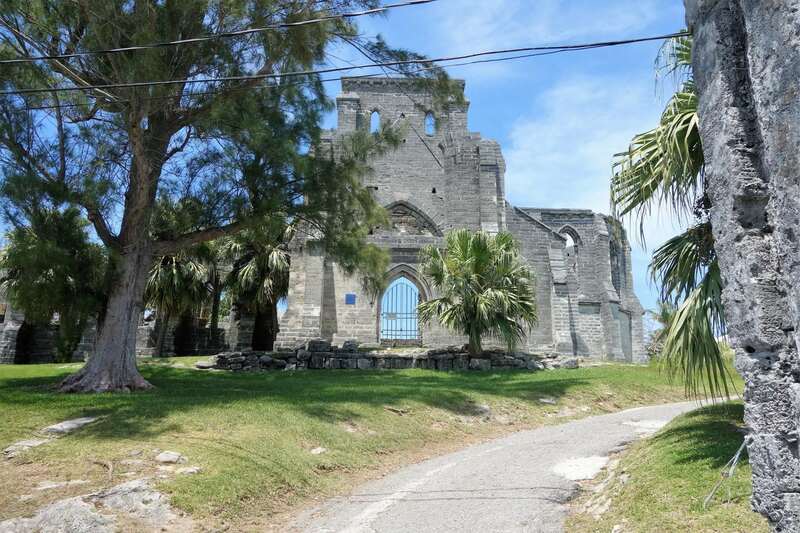 Have you visited St. George’s Bermuda? Did you explore the historic buildings and town attractions? Drop us an anchor below to share your experiences discovering one of the oldest cities in the Western Hemisphere.